Editor's Note: Hoodline is participating in today's SF Homeless Project, in which area publications cover homelessness from different angles.You can read more about the project here. 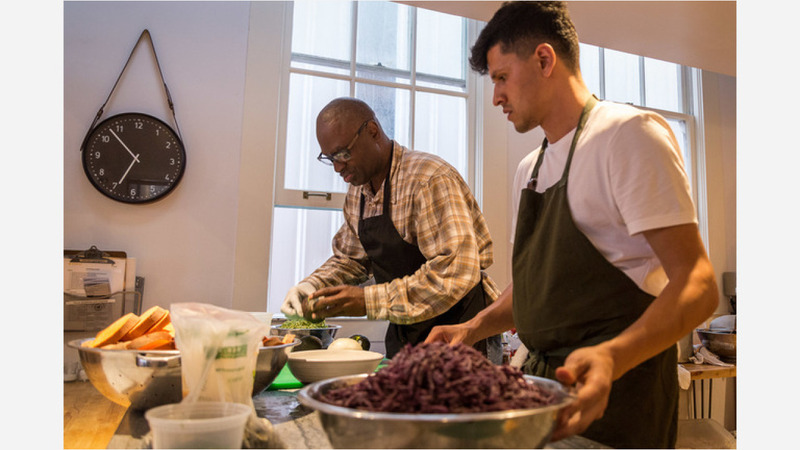 Instead of operating a traditional soup kitchen, local nonprofit Farming Hope is helping homeless residents get off the streets by studying the culinary arts. The group was founded by Kevin Madrigal and Jamie Starkby in 2016 while they were college students at the Stanford FEED Design School Incubator. "We decided to center our training program around food because food is already such a powerful tool for community building," Madrigal told Hoodline via email. "We can start to break down negative stereotypes folks have of homelessness by bringing them around the table together and serving delicious food cooked by our apprentices." 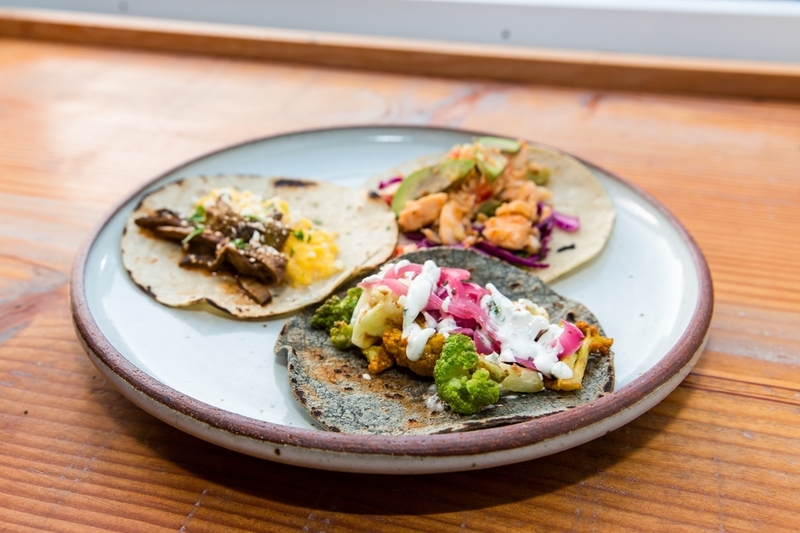 At its core, Farming Hope is a Mexican pop-up with weekly Thursday night dinners in Civic Center. Employees without secure living arragements work with the team to grow food in the nonprofit's gardens, prepare dishes, and serve customers. "We're bringing people together from all backgrounds -- paying customers, concerned citizens, folks experiencing homelessness as invited guests," said Madrigal. "When our apprentices see paying customers enjoying their food and coming to our events, they take pride in the work they do and can begin to build up confidence and support for their journey out of homelessness." 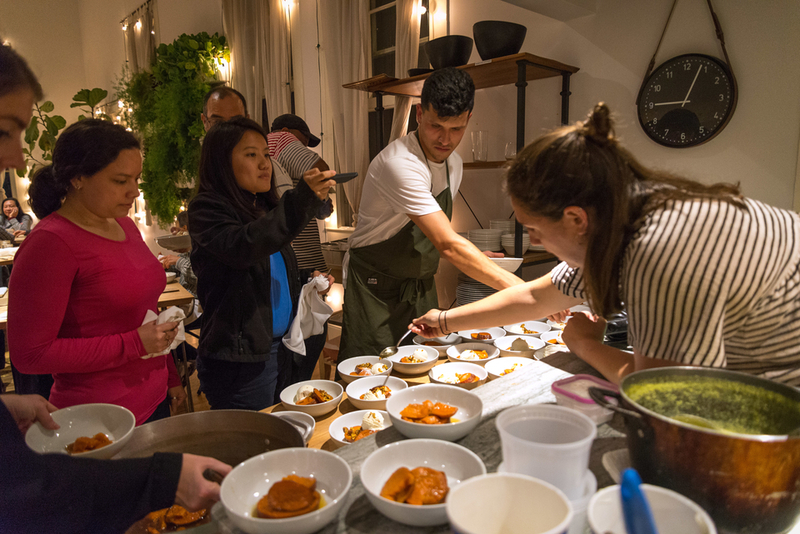 Farming Home diners can attend weekly pop-ups, as well as fundraising collaborations with restaurants like Mister Jiu's in Chinatown. Madrigal said part of his mission is creating a dignified and safe work space. Using food as a medium, apprentices work towards self-sufficiency, which spreads the message that "we're all a lot more similar than we are different," he said. "Farming Hope is a bridge out of homelessness. Growing and serving food lets our folks feel valued and empowered to share their gifts." Last year, four of Farming Hope's eight employees moved onto full-time jobs after completing the apprenticeship program. This year, Madrigal is working with twelve unhoused apprentices and hopes to move at least eight people into permanent positions. Moving forward, Madrigal said he to locate a brick-and-mortar cafe space to continue to grow Farming Hope and expand its mission. You can learn more about the organization or make a donation towards its efforts to end homelessness in San Francisco here.